Yesterday, March 30th, KFC held their annual event OpenKitchen. The restaurant chain opened 300 restaurants in the UK and Ireland to the public. 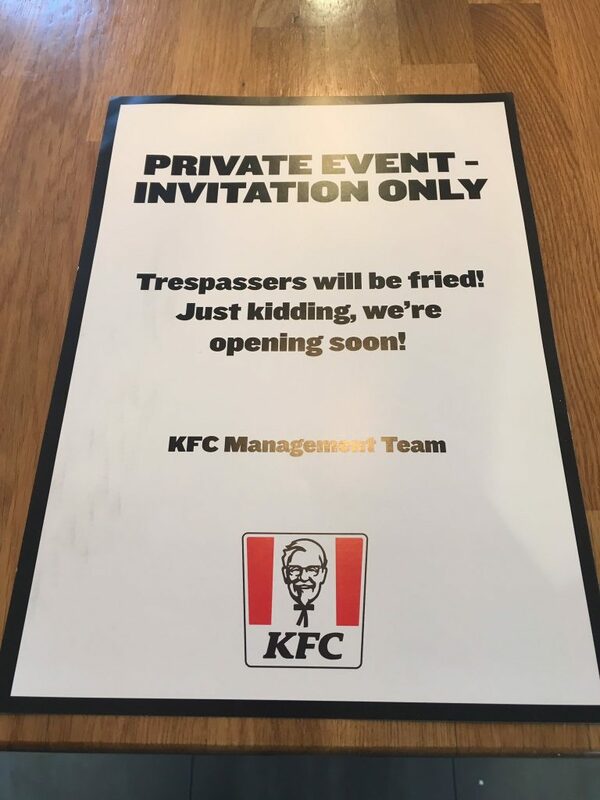 The general public was able to sign up for an event near them on https://kfc.seetickets.com/tour/kfc-open-kitchen. Tickets where available from March 13th and were quickly sold out. Twitter has been on fire with their #KFCOpenTicket the past 24 hours. We’ve selected some nice Tweets for you to give you a nice overview of the day. Shout out to @KFC_UKI for their #openkitchen event this morning. Getting to see all the workings and effort that goes into the end product and getting hands on too.